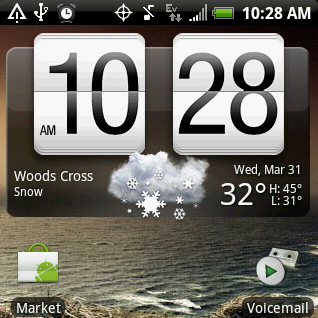 HTC Hero CDMA (Sprint, Cellular South, etc) users using a Custom ROM, such as damageless' DamageControl or flipz's Fresh, listen up. In order to take advantage of the latest improvements Sprint has made to the phone's ability to receive and utilize signal efficiently, updating to the latest ROM is not enough. 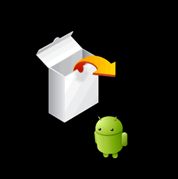 There is a special component outside of the ROM itself called the Radio Baseband, which ROM developers don't include (for whatever reason) into the custom ROM images, and instead sometimes provide as a separate update. Have you been hearing about all this custom ROM business - Cyanogen, DamageControl, etc and wondering what in the world all those are about? Or perhaps you already know what those are but are still afraid of trying custom ROMs on your phone because you don't know how to install them or don't want to lose your data and current OS state? What do you have to lose now? 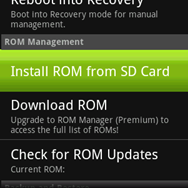 damageless and TrevE, the developers behind the DamageControl ROM which brings Android 2.1 to Sprint HTC Hero CDMA, have been silently working on a new version of the ROM for the last few weeks. **First boot will take awhile if upgrading. Us, Hero owners, have been waiting for an OS upgrade for a loooooong time, since the phone got released last October with Android 1.5. At first, we were hoping for 1.6, then 2.0, and finally 2.1 was promised ("Totally for real this time, yo" - said Sprint and HTC but we saw nothing). Other phones kept getting 2.1 upgrades but our favorite Hero saw only promises after promises with release dates pushed further and further back.